The Green Eagles, as Nigeria were called at the time, were at their peak in 1994. They traveled to the United States to attend the World Cup as African champions and, with FIFA ranking them the fifth-best footballing nation in the world, expectations were high. Everyone wanted to see them play. Coached by Clemens Westerhof and with talented players like Rashidi Yekini (of blessed memory), Mutiu Adepoju, Finidi George, Daniel “The Bull” Amokachi, Sunday Oliseh, Jay Jay Okocha, and Uche Okechukwu, it is said that the 1994 Eagles were the best team Nigeria has ever produced. The US World Cup was Nigeria’s first ever, and although they were eliminated in the Round of 16, they stood out enough to be named the second most-entertaining team. They first beat high flying Bulgaria 3-0, the biggest win by any African team at that time. The world quickly knew what we in Nigeria already did: these players were special. When my father told me stories, he’d get really animated when describing how good we were, his eyes lighting up when he detailed how Yekini’s shots that had more velocity behind them than shotgun bullets. “Amokachi passes it to Finidi George, Finidi puts in a cross…..goaaaaaaaaaaaalllllllllllll!!!!! !” Yekini scored Nigeria’s first ever goal at the World Cup. After doing so, he grabbed the net and looked up to the heavens, sobbing and screaming out his own name. He knew, as did everyone watching, what a historic moment that was. Fast-forward to the U20 World Cup in 2005, where the new “Golden Generation,” coached by Samson Siasia and with players like John Mikel Obi and Taiye Taiwo, came in second, losing to Argentina, with goals from a certain Lionel Messi, in the final. Then, in 2008, Nigeria got to the final of the Olympics in Beijing and lost again to Argentina, again featuring Lionel Messi (what a love story between him and Nigeria, eh?). But more important than the silver medal was the beautiful, entertaining football; we were on our way back to the glory days of USA ’94. Or so we thought. After disastrous showings in 2002 and 2010, and a failure to even qualify for Germany 2006, Nigeria is in Russia for her sixth World Cup. Now, 20 years after France ‘98, there is a renewed sense of optimism about the national team. The 2013 AFCON win, their first Africa Cup of Nations triumph since the truly “Super” Eagles of 1994 , was quickly followed by qualification for the 2014 World Cup. Although again Nigeria went out in the Round of 16 in Brazil, their overall performance was hailed as one of the best, if not the best in a long time, and we can’t help but think the team is actually moving up the ladder. The infusion of youth and players with evident quality and a genuine passion to fly the national flag has everybody believing in the Super Eagles again. To many, the 2018 squad is better than the 2014 team: “If we held Argentina by the jugular in 2014, then Alex Iwobi, Odion Ighalo and the ‘Oyinbo wall’ (oyinbo sort of means white; it’s a term we use to describe anyone with a clear complexion, in this case describing the defensive pairing of Leon Balogun and William Troost-Ekong) should have no problem finally getting the better of Leo Messi and company,” my friend Kelechi reminds me whenever we discuss the national team. Like Bulgaria in ‘94 and Spain in ‘98, beating one of the group favourites will be a catalyst to qualifying for the next round. Which is the first step in our mission to become the first African nation to reach the World Cup semifinal, perhaps even more. You see, Nigerians have not felt this excited in a long time. Following the oil boom in the eighties, we were the giants of Africa, the “cool kids,” and it looks like we might be on our way to reclaiming that title. The buzz is so strong that once again we want to leave our houses to watch football in viewing centres (places with large screens where we pay to watch matches). We love to watch as a group; most of us can’t afford to see live games, but there is this sense of belonging when we are together. We love to banter and argue, as everyone believes themself to be a coach. Even when fights ensue, we make up shortly after because in the end, we are one big family. This familial feeling is an inborn, distinctive trait of Nigerians. Nigeria is plagued with problems too numerous to count. They’re just not the ones you see on television. We’ve heard the same complaints all our lives: corrupt and greedy politicians, poor roads, crumbling infrastructure. In 2010, the National Bureau of Statistics said 60.9% of Nigerian citizens were living in poverty. To make it worse, the World Poverty Clock shows 44.2% of Nigerians live in extreme poverty, overtaking India for the dubious honor of having the largest number of people at that level. And yet here we are, with a belief that people often agree is unreasonable. We believe that there’ll be a turnaround, albeit slowly and painfully; we have faith the change that we deserve will come. Nigerians are generally angry and frustrated, yet we remain a doggedly ambitious people. That’s evident in the way we follow football. It is why we brave harsh conditions and power outages to watch the Super Eagles, sometimes hunched in cramped viewing centers powered by generators. 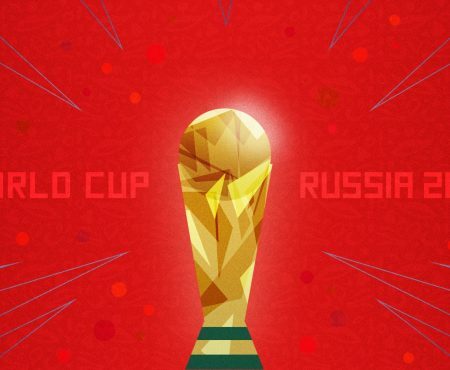 Because even though there’s a chance the game could end in crushing defeat, there’s also the possibility to watch your nation overcome overwhelming odds to triumph. To be honest, nobody wants to merely be told about the next “Oliseh moment.” You know, that moment when another Nigerian will score a crucial goal in the dying moments of a game, sending the country to glory. Some of us didn’t watch France ‘98. The younger generation want to feel what it’s like; listening to stories and watching old YouTube videos just doesn’t cut it. We follow so many leagues; we generally support any team that fields a Nigerian, not because we like the club, but because we want our “sibling” to do well. Many Nigerians became fans of Leicester City last season after the arrival of Kelechi Iheanacho, while clubs like Arsenal and Chelsea became dear to many because of Kanu Nwankwo and John Mikel Obi respectively. However, when the player refuses to represent the country, we can be petty. 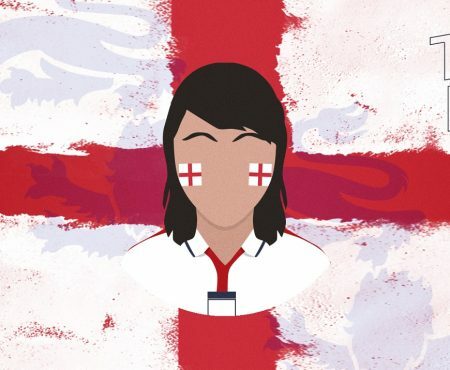 We have so much pride (sometimes unnecessary pride, if we’re being truthful) that we feel like even though the country is far from perfect, players should still be thrilled to represent her. This is why for so long, a lot of us were indifferent about John Fashanu and more recently became enemies of Tammy Abraham. These players were born in England to Nigerian parents and thus eligible to play for both countries. Nigeria offered them invitations, which were turned down. That’s why it wasn’t surprising to see many of us laughing when the England squad list was released and Tammy Abraham wasn’t selected. We really can be petty! The pride we feel as Nigerians may stem from the fact that for all the bad that happens, Nigeria also has a lot of good, which is is why we remain optimistic even in the most hopeless of situations. After an increase in the price of petrol (due to the subsidy removal in 2012), my parents, like many Nigerians, lamented about the change. The price of foodstuffs and bus fares rose, fuel stations saw enormous queues, and some even hoarded fuel to justify the hike in price, making an already scarce commodity even more difficult to get. The price of fuel was eventually reduced after a nationwide protest and labour strike, but it was still significantly more than the amount we used to pay. But we have gone on with our lives. We adapted. One saying that’s quite common here (it’s said in a peculiar kind of English): “I cannot come and go and kill myself” or “I cannot come and go and die.” In other words, “When the going gets tough, the tough get going.” We won’t overly fret and develop high blood pressure because of an unpleasant situation … because there a lot of unpleasant situations. In almost every crisis, we simply ask “What is the way forward? We then respond, “We move.” Our work ethic is best described as the “hustle,” which ranges from the market woman who sends her children to school with the profits of her wares, to the “9am-5pm” workers who wake up at 5am everyday just to avoid traffic. Describing this as the “hustle” might make it sound fun, but it’s actually quite difficult. Many market women don’t make enough money to send even one child to school from primary school through to university, even if it’s public school. Private school is preferred, but it’s quite expensive when compared to earning power, so it isn’t surprising that many live in debt. So many Nigerians are extremely entrepreneurial, even while employed by someone else, and it is not uncommon for us to provide our own power (through generators) and water supply, as well as pay for security in our communities. This doggedness is evident in every Nigerian, including our footballers. Nigerians play in domestic leagues across the globe. The lack of seemingly basic developmental facilities like football academies, football scholarships, and well-organised soccer tournaments in primary and secondary schools means African players in general have to work even harder to get noticed by foreign scout. And while children play football in the streets, almost no parent would allow their kid choose football as a career, especially while in school. You’re either studying to be a doctor, lawyer, or an engineer. This type of “respectable” profession (basically anything they can brag to their friends about) is fine; just don’t disgrace your family. The Nigerian footballers we see today are those who struggled to break free of societal expectations, daring to follow their dreams with minimal support. Many of them start out playing without boots on sandy fields, training without the knowledge of their parents. This determination to succeed is not just inbuilt, it is further developed and polished through adversity and unpleasantness. Our qualification for Russia 2018 was thrilling. Nigeria easily bypassed the “Group of Death,” comprised of the top ranked African nations at the time: Algeria, Zambia, and Cameroon, fresh off being crowned African Champions. We have never felt as optimistic during the build up to a World Cup as when we beat Argentina in a friendly, leading many to start making very bold predictions. We honestly feel like we are even more pumped for Russia 2018 than the Russians are. The football isn’t where we believe it should be (obviously), but we are on our way. Everyone believes in the coaching staff, there are no issues with payment of salaries (for the first time in a long time) and have you seen our jersey?! We frequently joke that Nigeria has already won the Jersey World Cup and no one will be able to cramp our style (LOL!). Jokes aside, even after the losses to England and the Czech Republic, there is an unusual feeling that maybe, just maybe these boys will give us a pleasant surprise. It is obvious that living in Nigeria, and even being a Nigerian, can be exceedingly frustrating, and yet phrases like “for this life, we go make am”, “it is well,” or “e go better,” are often heard, tossed out as a means of encouragement. This country teaches you (whether you want to learn or not) to never give up, to continue with the “hustle,” because you absolutely believe that you will make it someday. We adapt and we grow. This trait, this tendency, is even more apparent now, in the lead up to the 2019 election. More and more youth are becoming interested in politics and state affairs, and people actually care about those they want to elect to positions of power, leading us to feel the political system will finally improve. Maybe this is why many folks are optimistic that not only their country, and thus their standard of living, will get better, but that Nigerian football is on the rise. The general belief is when the administrative arm functions properly, every other arm will follow. From education to football, we are excited for the coming changes. Nigerian football, like the nation herself, makes us feel the whole range of emotion; anger, joy, sadness, happiness. Most crucially, it gives us a sense of hope. We still believe that with consistency and hard work, we will be giants of Africa again (remember my history lesson in the first paragraph? We want those days back.) When? I do not know for sure, but being Nigerians, I know that we will never give up. Our optimism is truly unusual.